Christ is the hope of the pro-life movement. Pope Benedict reminded us at Midnight Mass on December 24 , 2006 that hope for the pro-life movement can be drawn from the saving work of Jesus Christ – even his saving work as an infant. “God has become one of us, so that we can be with him and become like him. 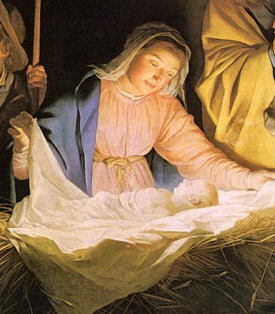 As a sign, he chose the Child lying in the manger: this is how God is. This is how we come to know him. And on every child shines something of the splendor of that “today”, of that closeness of God which we ought to love and to which we must yield – it shines on every child, even on those still unborn.” Pope Benedict XVI – Midnight Mass Homily – Christmas Eve 2006.